Falling for Books : Book Review: The Reflections of Queen Snow White!! Book Review: The Reflections of Queen Snow White!! All together this book was good. 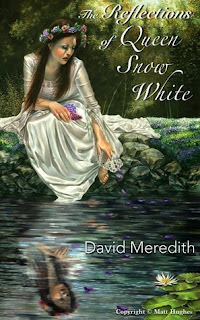 This was a retelling of Snow White. She is now and adult and mother trying to come to grips with the loss of Charming and trying to find the strength within herself. I really wanted to like this book more than I did but i just could not get the way the story began out of my mind. The first two or so pages to me just did not seem to fit into the story. I would however recommend this book to adults who enjoy retelling. Cover Reveal : Bound by Prophecy!! !